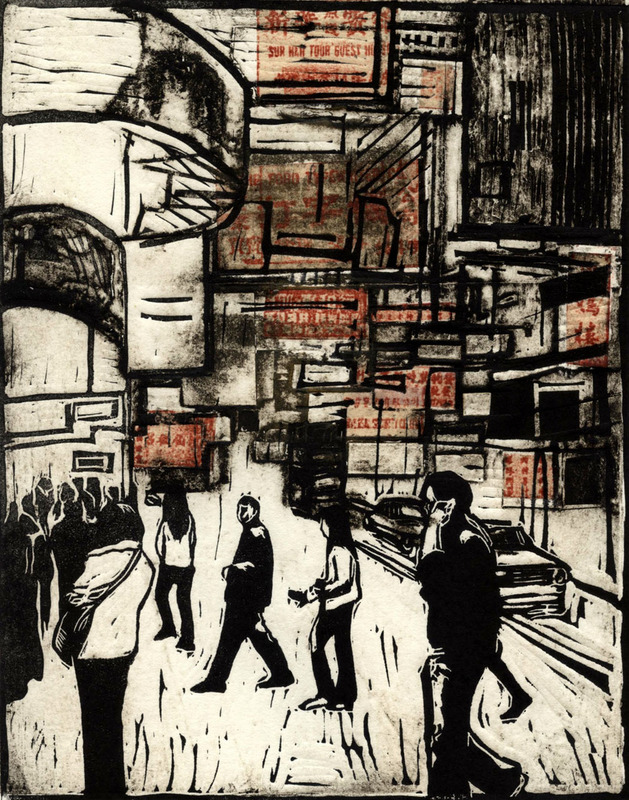 Printmaking enables the artist to engage in progressive experimentation like few other mediums. As such, my work often explores variations on a visual theme in order to capture just the right mood, or to reflect our own changing perspectives. My subject matter is often inspired by travel, but also finds root in day-to-day life. In pursuit of a faithful depiction, however, I never shy from a slightly abstracted treatment if effective in conveying the emotional subtleties. I primarily work with etching and, in recent years, have focused on various non-acid methods, including woodcut, linocut, collagraph and mezzotint, in some instances combining different matrices to achieve the effect I desire.